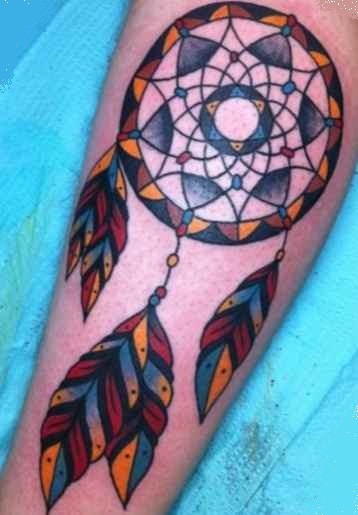 Dreamcatcher tattoo are very popular in our days and have a very deep meaning. 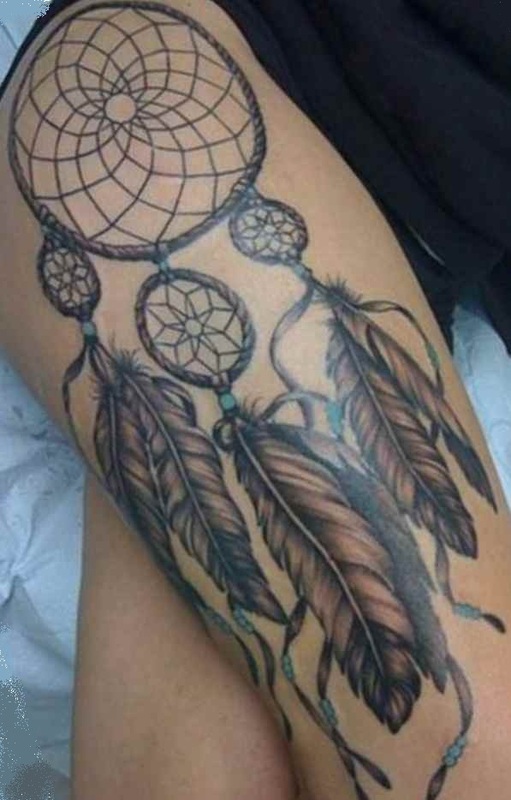 A dreamcatcher is originally a kind of talisman that was created in Indians. 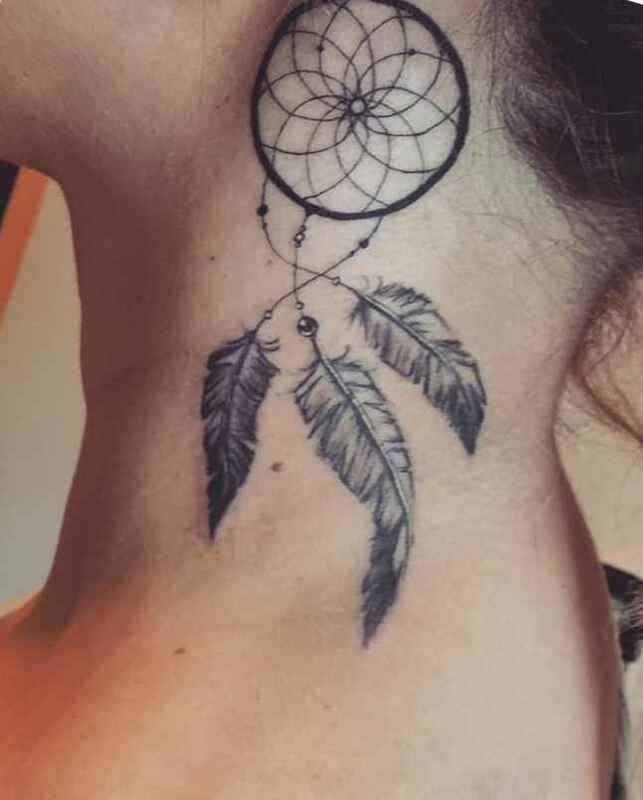 In India spirits, dreams and cult objects played a great role in life of people. 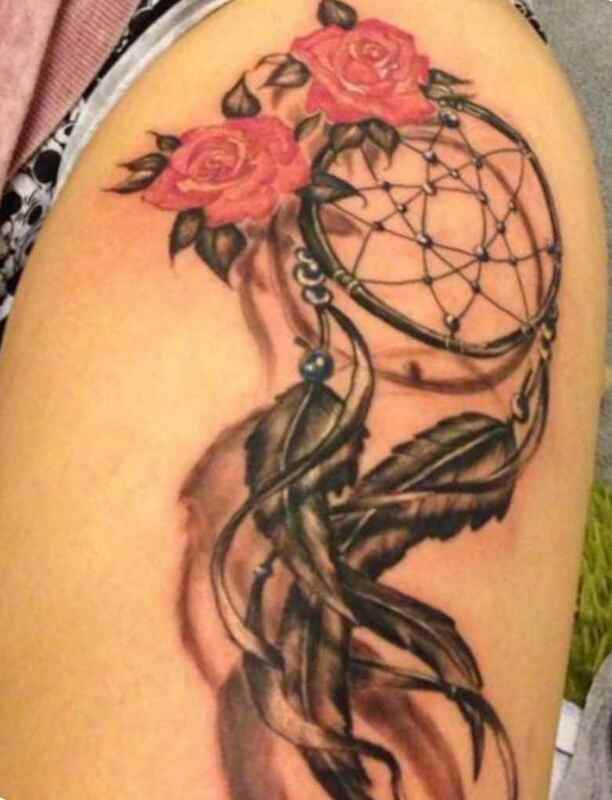 Good and evil dreams could greatly change a person’s life! A dreamcatcher, according to the legend, serves to keep away the bad dreams of its owner. 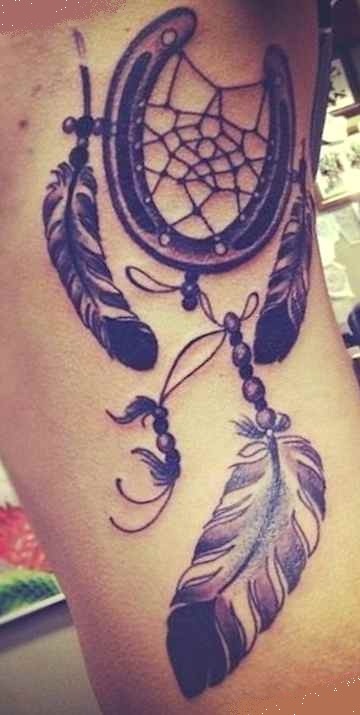 A dreamcatcher was mostly made by the grandparents and consecrated in a ceremony as a present for their grandchildren. 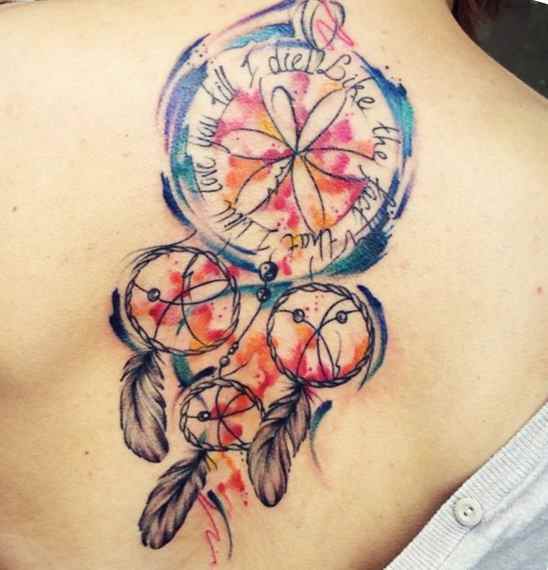 What does a dreamcatcher look like? 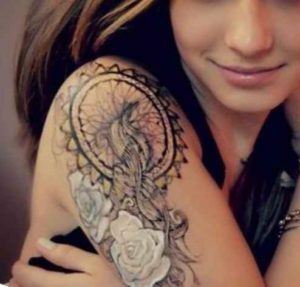 The supporting element is a ring made of soft branches. 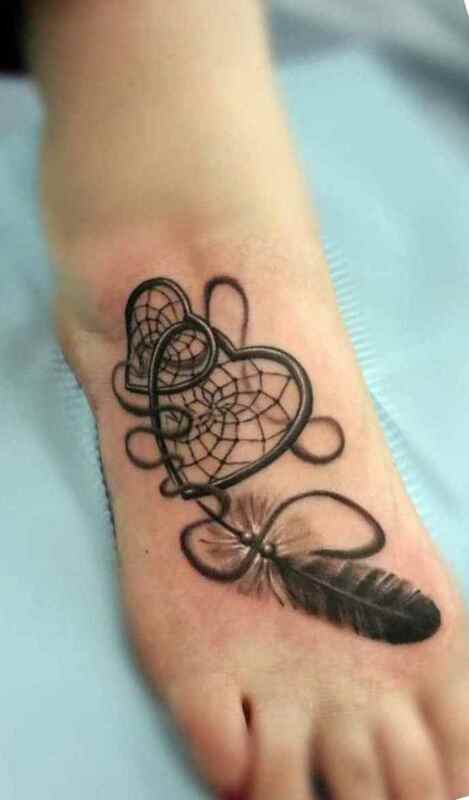 In the ring a thread is woven like a spider web. In the middle of the “spider web” is a round hole. 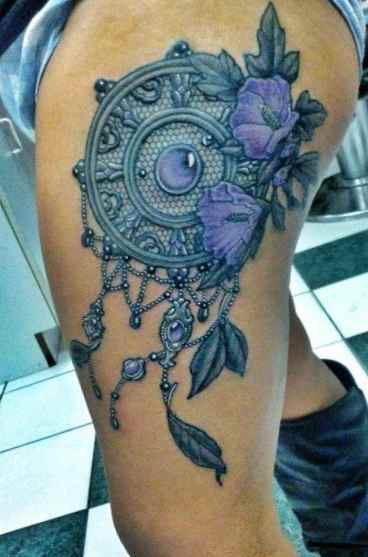 Also, strings with springs are attached to the ring on the lower side. 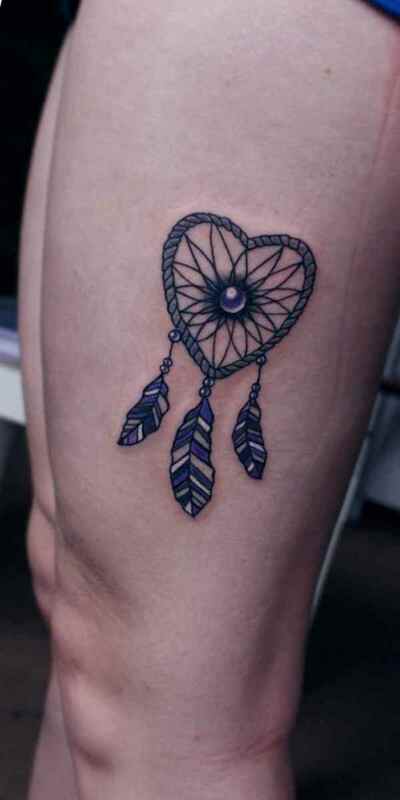 Dreamcatcher can have some additional details, for example precious stones, pearls and healing stones. 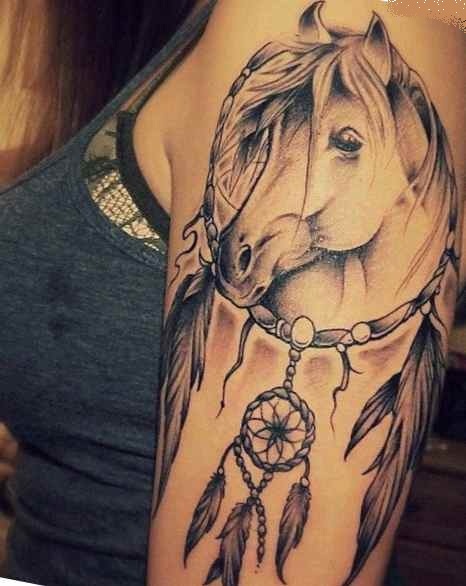 They can have different meanings. 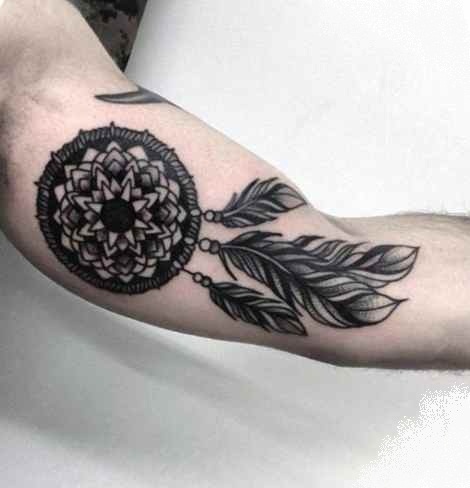 Through its origin, the dreamcatcher is a very special and have spiritual meaning. 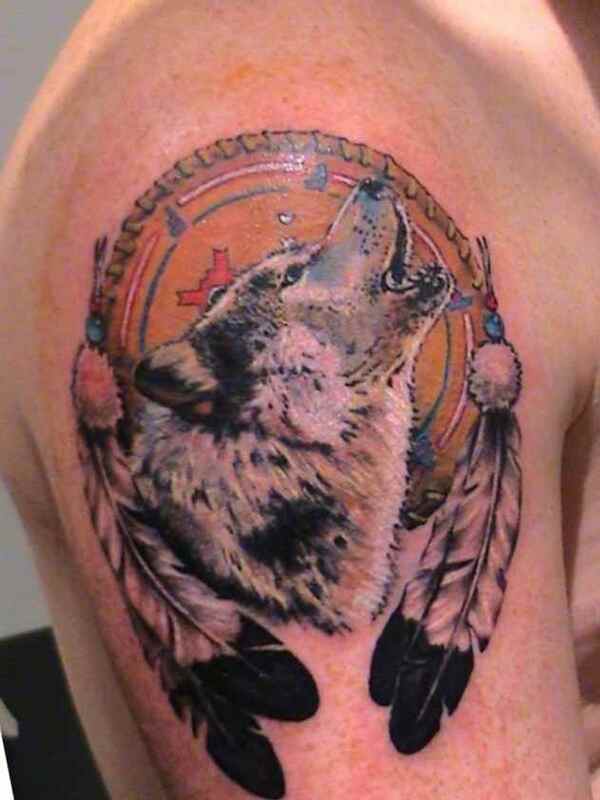 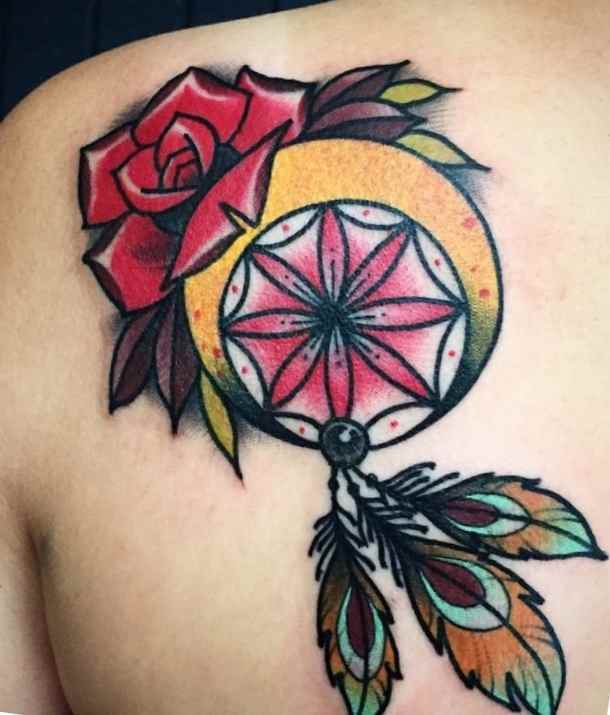 This makes it very special as a tattoo, because if you are planning to tattoo more often, the dreamcatcher is not easily compatible with all other tattoos with meaning. 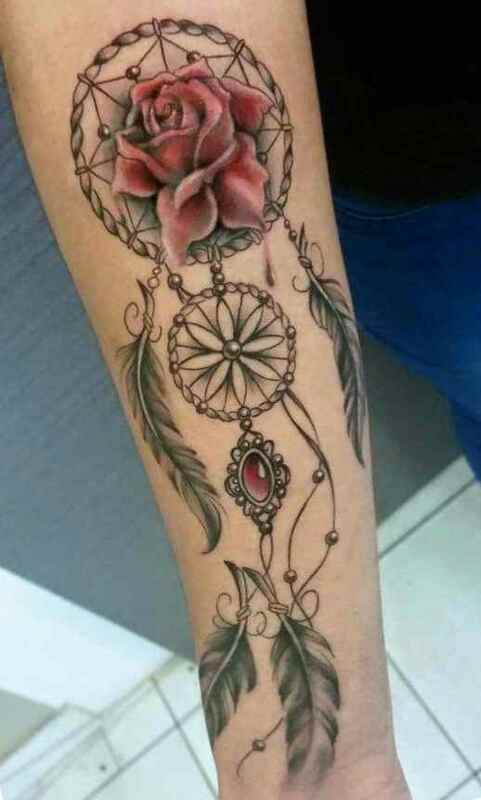 If you do not want to look like a stained carpet with bunch of different meanings you have to choose meaning of your dreamcatcher very carefully. 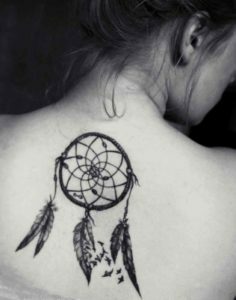 However, since the decorations of the dreamcatcher can be customized individually, choosing a correct design would not be a problem. 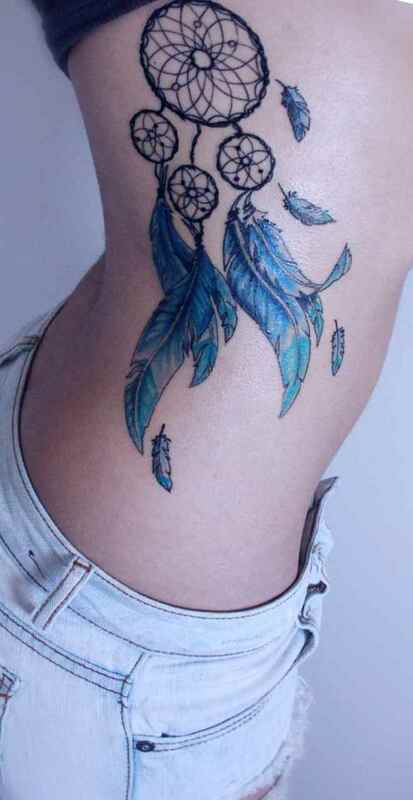 The feathers can be designed in different colors or in Gothics, dark tones. 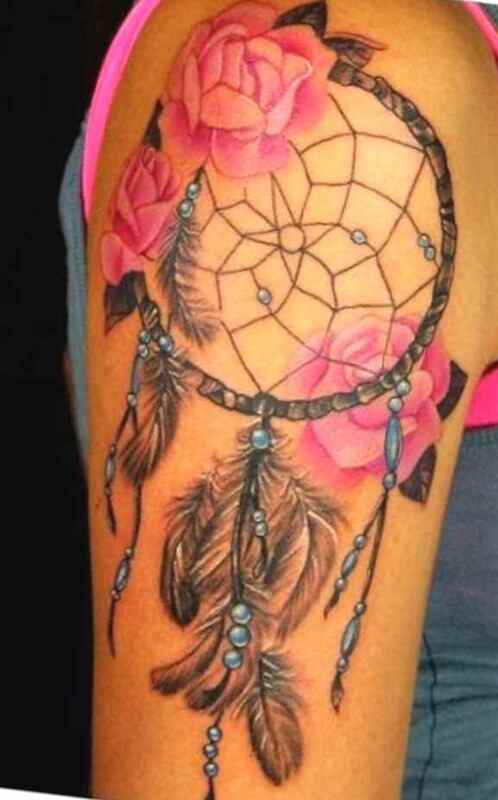 The frame can be filled with flowers. 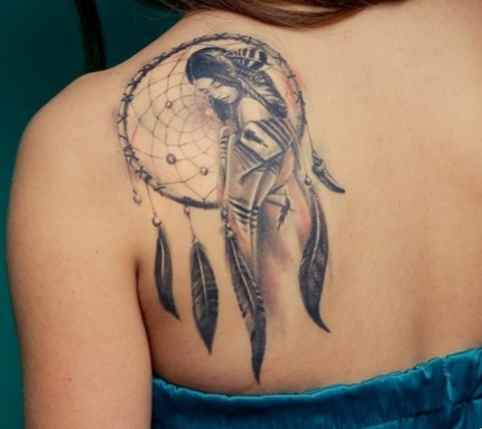 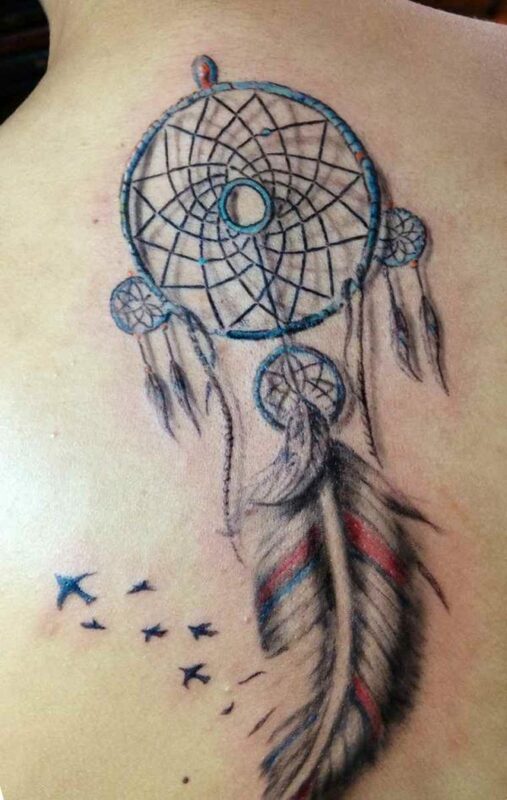 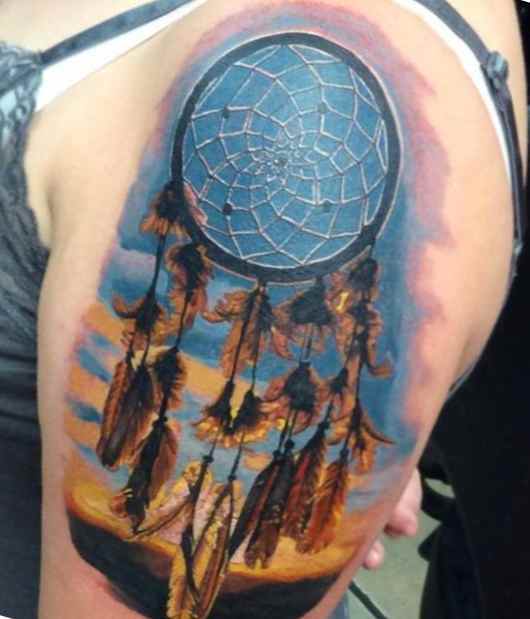 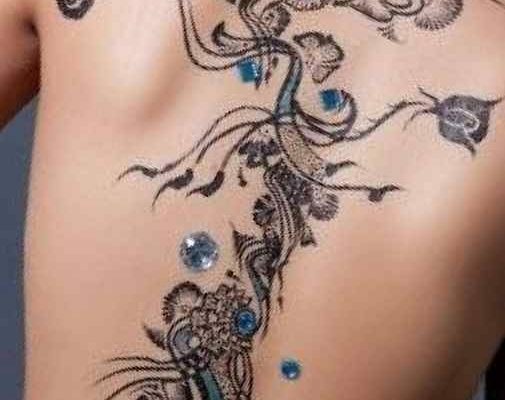 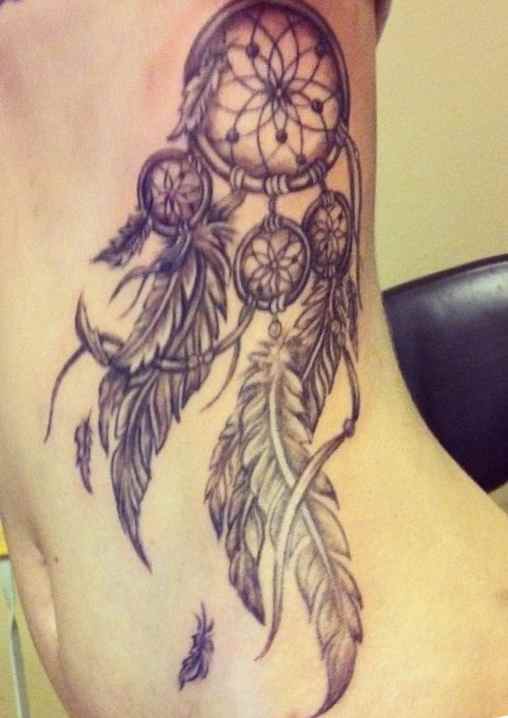 According to the Indian traditions, only women make a dreamcatcher tattoos. 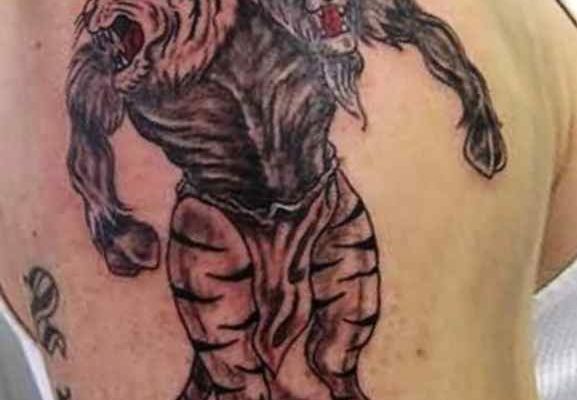 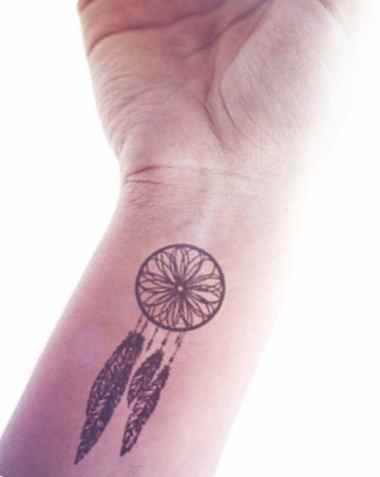 Nevertheless, man can make dreamcatcher tattoo for yourself! 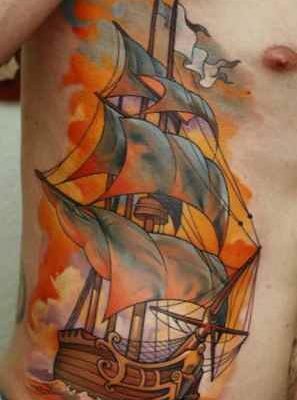 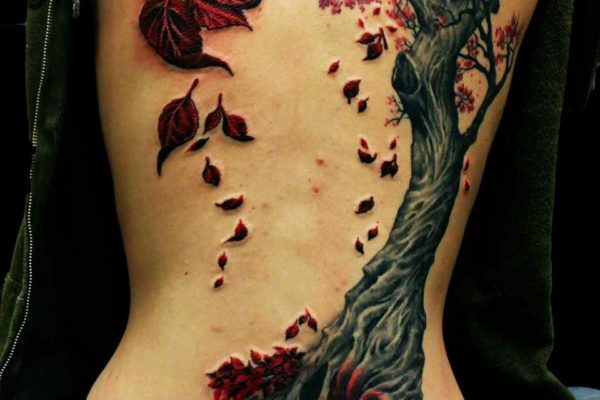 A tattoo is an individual decision and if the meaning pleasing for you, then it is your choice.